Defeat is no longer an option. Live Victoriously and realize you can accomplish your goals. At Victory Strength and Fitness (VSF) we have weight loss and strength training options suitable for any level of fitness and any budget. Strength Training - Our strength training is that of another level because we have been coached personally by world champion and national champion coaches as well as other renowned strength and fitness experts. We then pass that same quality of coaching to you. You will be using the safest and most effective methods to accomplish your goals. Nutrition - We believe that all “diets” will fail, so we will help you create simple to follow lifestyle adjustments. You will learn how to overcome obstacles and develop solutions. Most importantly, you will learn how to properly portion and create meals that will help you improve your metabolic rate and sustain your results even after you have completed the program. Private/Semi-Private Training - These sessions offer flexibility for sessions times and include highly personalized exercise programs designed to suit your level of fitness. When combined with personalized nutritional guidance, weekly progress tracking, around the clock support, and much more, this format has been able to help people lose as much as 100 lbs training only 2 times a week at VSF! Victory Transformation Program This program has seen many people accomplish mind blowing transformations while training only 3 or 4 days a week. Experience world class coaching with a variety of strength and fitness equipment and never be intimidated by the gym again! You will also learn how to improve your nutrition for life to lose unwanted weight, build muscle, and feel awesome! The Amazing 12 - This is our platinum program. This is the most thorough body transformation program in the world. All around the world people are experiencing the power and effectiveness of THE AMAZING 12. You will not find a more effective and safe program any where! Visit our Amazing 12 page to learn about how you can accomplish world class fat loss and strength gains within just 12 weeks or less! This is in the shopping center between Meijer and Kroger, behind McDonalds on 135. Please feel free to call or email for any information. Please leave a voicemail if you call as we may be in a class coaching when you call. Our Goal at Victory Strength and Fitness is to offer people the motivation, encouragement and scientifically proven methods to accomplish whatever fitness goals they have. We offer the best education in weight loss & strength training. ​If you are reading this you may have a goal of your own. You may feel the need to get in better shape, improve your strength, mobility, and possibly all three. You can accomplish all of that and more than you ever thought possible, and we will help you! View our "Testimonies" page and see the incredible transformations that happened with the help of the coaching available at Victory Strength and Fitness! 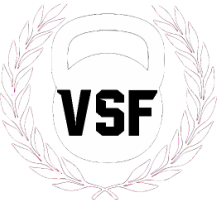 Victory Strength and Fitness was started by Bruce Salazar. This is his story. I was dealing with a knee injury that had left me very inactive and overweight. I knew I had to change something. I was always fairly active, and I needed to regain the athleticism and shape what was lost. With the help of a friend who was a physical therapist I was able to recover and lose a substantial amount of weight. I felt so great with what I had accomplished that I knew I wanted to help people do the same. I sought out the best instruction I possibly could. After getting certified as Personal Trainer by American College of sports Medicine, I realized I needed much more instruction if I was going to be able to help people. By chance I met a kettle bell instructor. This totally changed everything I knew about health and fitness. I continued to seek out the best instruction available and ended up getting coached by non other than the innovator of modern Kettle Bell movement and world renowned strength and fitness coach, Pavel Tsatsouline. I went on to become a StrongFirst Level 2 Kettle Bell Instructor and was coached by some other sought after coaches like Dr. Michael Hartle, Dave Whitley and others. Recently, I was selected from thousands to become one of the first Americans Certified to become a coach for THE AMAZING 12, a world renowned body transformation program that has changed the lives of hundreds all throughout Ireland, the UK, and Europe. I want to use my experience and knowledge to help others accomplish incredible things. I have been blessed to have helped people lose over a hundred pounds, win college scholarships, gain strength they never knew they had, and many other things that they never thought were possible. If you are reading this then you are probably looking to accomplish something. Let me tell you. You can do it! Victory Strength and Fitness will help. Contact us today and let's make your goals your reality!